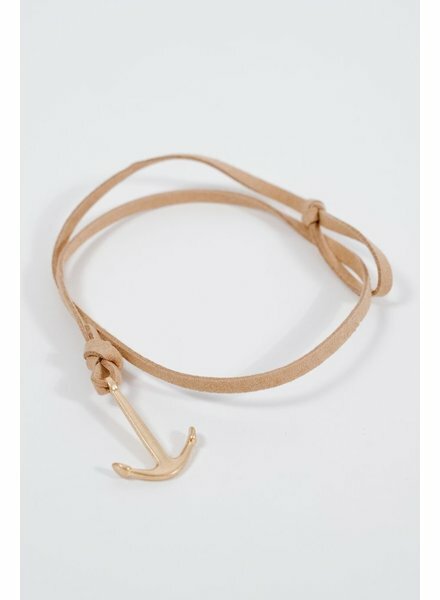 Tan leather wrap style bracelet with gold colored metal anchor closure. Neutral enough to be worn with every look! 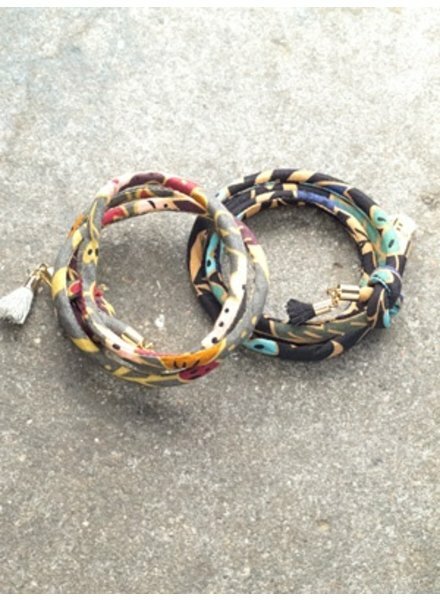 Leaf print fabric wrap bracelet with gold leaf disc. Wraps twice around. 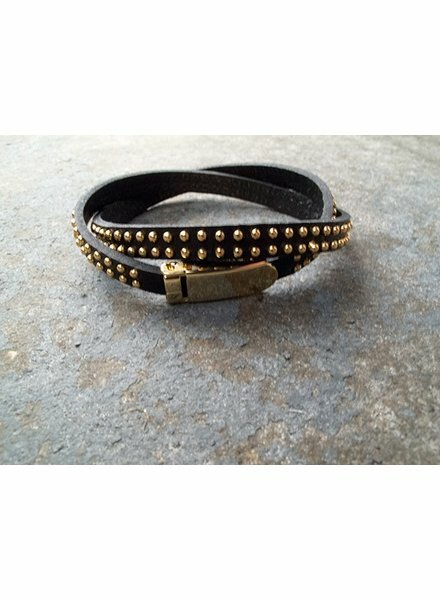 Black colored double wrap bracelelet with gold colored studs and clasp. 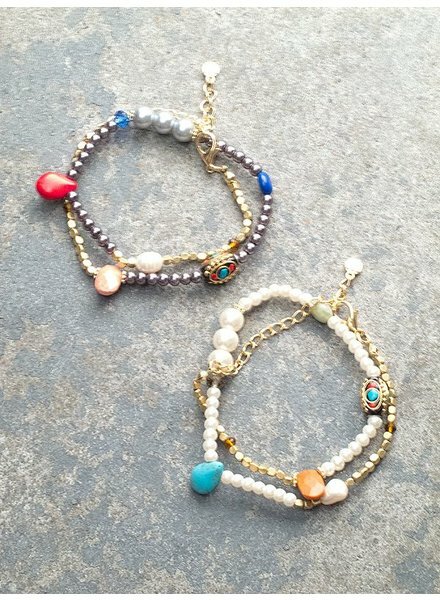 Pearl and stone stretchy double wrap evil eye bracelet. Wraps twice around.